Here is the Fredric design within our Pure Simplicity collection. 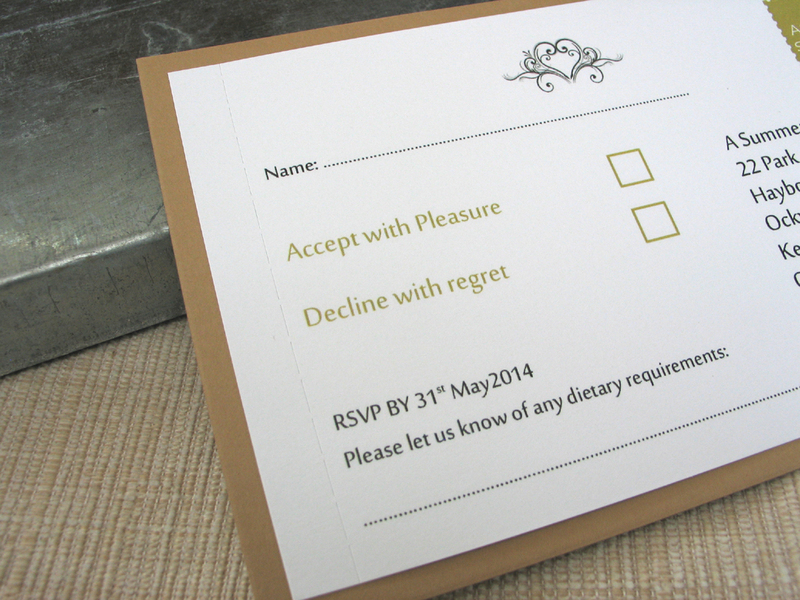 This design is available with a perforated RSVP on the back of the invitation. This makes life a lot easier for your guests to reply to you and you will receive your reply back quicker as it is so simple for them to reply!. The collection is available in 50 shades so hopefully there is one there to match your colour scheme. The Fredric here is demonstrated on ‘Harvest’. This month’s sample request winners of £100 worth of our stationery are Louisa and John from Manchester who are getting married on 25th April 2015. Be in with a chance by just requesting a free sample today. 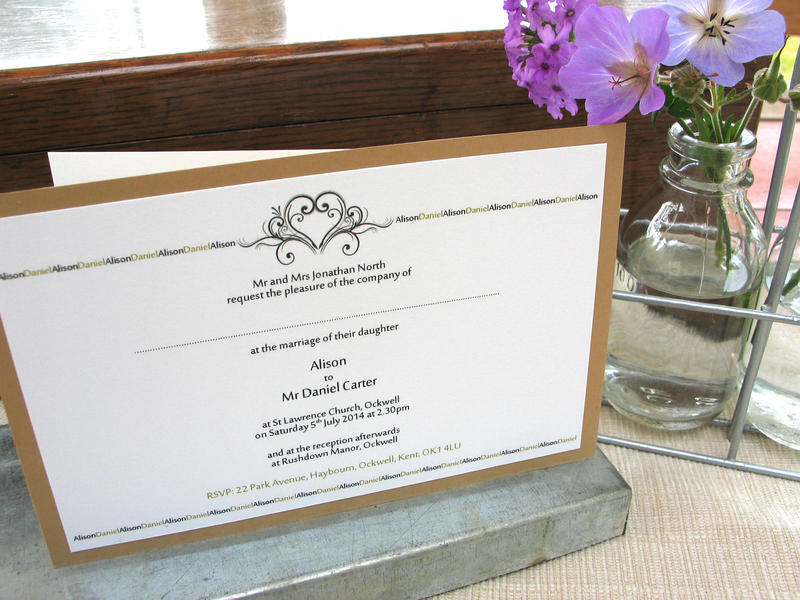 Due to popular demand we have extended our June special offer of Order 100 or more wedding invitations and receive free of charge RSVP postcards. RSVPs are really convenient for the guests and ensure you have prompt replies to invitations so you can get on top of the numbers.